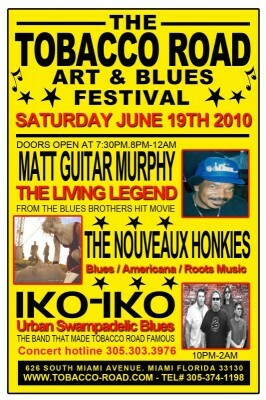 The yearâ€™s festival will be held on Saturday, June 19, 2010 from 5pm to 2am. 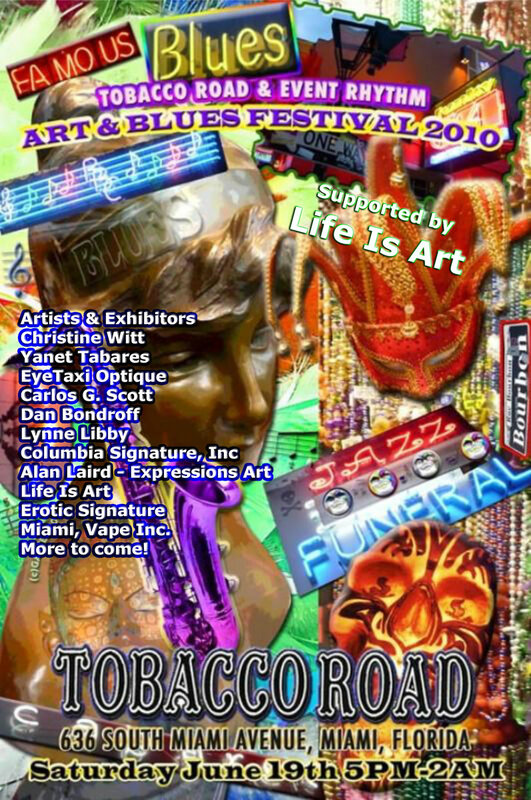 The Legendary Tobacco Road, voted one of the 100 Best Bars in America presents the most brilliant new Artists and Local Legends as they light up the Downtown Skyline in celebration! Supported by Life Is Art. 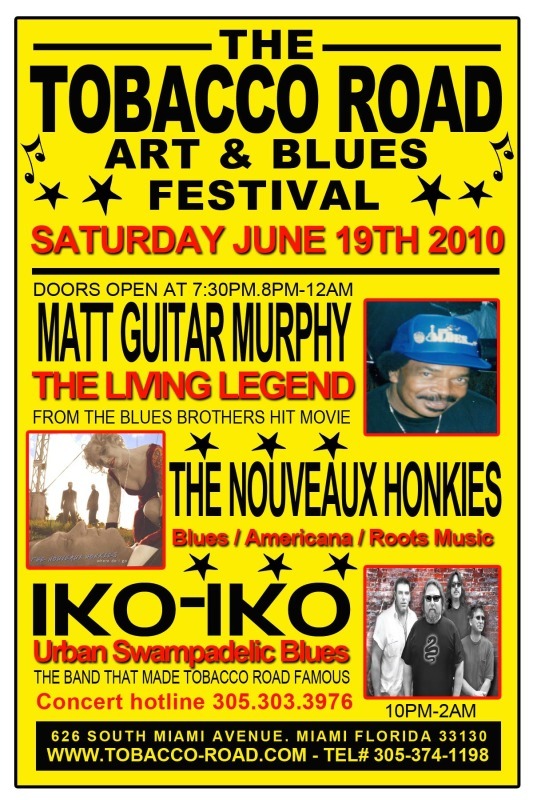 Tobacco Road, Miami’s oldest bar, restaurant, cabaret and mecca for live music and art is giving artists the opportunity to leave a mark on their 2010 Art and Blues Festival!